Pre-workout formula with Creatine, Arginine, Citrulline, Beta-Alanine and Caffeine. ISO 22000, ISO 9001, GMP, HACCP and HALAL Quality Certifications. What is Black Blood Nox+ ? Black Blood Nox+ by BiotetechUSA is a powdered nutritional supplement made of Arginine, Citrulline, Beta-Alanine, Caffeine and Vitamin B complex to be taken before working out. 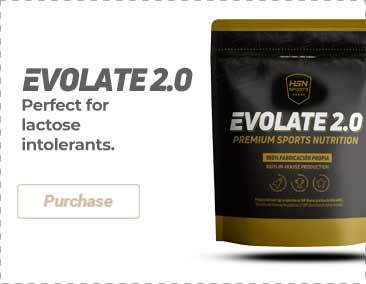 This supplement contains ingredient compounds with benefits for sportspeople. Who is this complement for? All of these ingredients and their benefits, focused on training, make Black Blood Nox+ perfect for athletes, sportspeople or active people who want a pre-workout with quality ingredients in order to reach and improve their goals. Black Blood NOX Complex 55,3%[L-arginine-alpha-ketoglutarate, beta-alanine, L-citrulline, acidity corrector (E296 malic acid)], Creatine Complex 27,5% [micronized creatine monohydrate, creatine buffered (micronized creatine monohydrate, stabilizer (E530 magnesium oxide))],creatine citrate (micronized creatine monohydrate, calcium citrate)],thickener (E415 xanthan gum), L-tyrosine, anti-caking agents (E470b magnesium salts of fatty acids, E551 silicon dioxide), antioxidant (E300 ascorbic acid), flavouring, anhydrous caffeine (15.7%), sweeteners (E950 acesulfame-K, E955 sucralose, E960 steviol glycosides), anti-foaming agent (E339 sodium phosphates, E900 dimethylpolysiloxane), colouring (E129 red allura AC *, E102 Tartrazine *, E124 Ponceau 4R *), Vitamin B Complex (nicotinic acid, thiamine monohydrate, pyridoxine hydrochloride). * The E129 red colourings allura AC, E102 Tartrazina and E124 Ponceau 4R can have negative effects on children´s activity and attention. Made in a factory that produces food containing milk, eggs, gluten, soy, crustaceans, sulfur dioxide and nuts. Mix 1 scoop (19g) with 200ml of water. Take 15 minutes before training. Keep out of reach of the smallest children. Nutritional supplements should not be used to replace a balanced diet. It contains caffeine (150mg caffeine/100ml ready-to-drink). Not recommended for children nor pregnant or lactating women. Not advised for people under medical supervision, specially in cases of heart diseases and hypertension. Do not exceed the stated recommended daily dose.